Duck-billed platypuses - with their distinctive mashup of seemingly incongruous physical features - are not only one of the most striking-looking animals on the planet, they're also one of the most elusive, too. The species is so rarely seen, in fact, that filmmaker Max Moller says it took him seven years of waiting in the wilderness of Tasmania before one of the odd creatures finally came into view to be filmed - and even then he could not believe it. "We were filming platypus in the area when he saw something moving through the grass. Thinking it was some huge lizard, we couldn't believe it when we saw this platypus walking between one creek to another," Moller told Australian Broadcasting Corporation. For several glorious moments, the egg-laying mammal can be seen trotting across a grassy divide before slipping back into the water where the species is more at home. Motter, who plans to use the "extremely rare footage" in an upcoming documentary, says filming the platypus was one of the most difficult tasks he's ever undertaken, adding that "sometimes the luck is on your side." 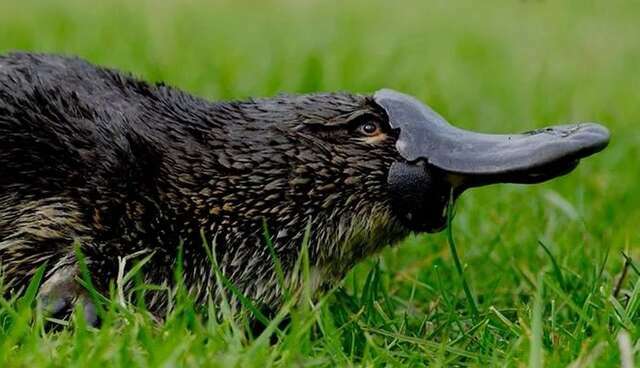 Platypuses, which are native to eastern Australia and Tasmania, are typically wary of humans and are capable of delivering a painful, venomous sting with spurs on their hind legs for those who come too close. 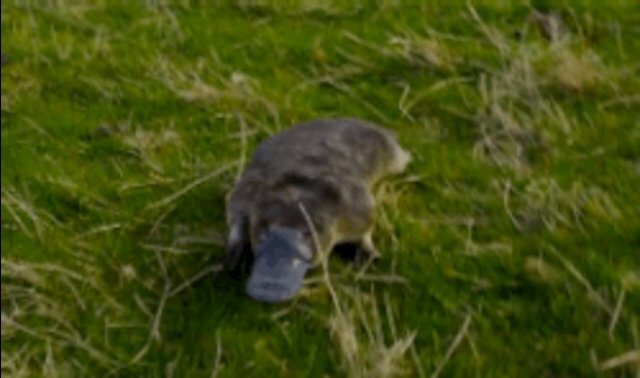 But unlike his notoriously shy counterparts, this particular platypus seemed more than comfortable to play the starring role in a film clip so many years in the making. "We realized that the platypus wasn't scared at all," Moller said. "He even came close to the camera."